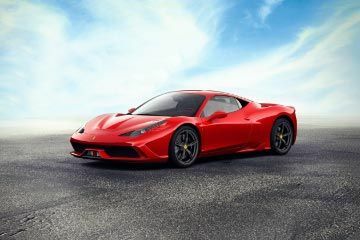 The 458 Speciale made its United States debut last night, as part of an event organised specifically to launch the car by Ferrari North America at the Austin Studios in the capital of Texas. Marco Mattiacci, President of FNA and Stefano Domenicali, the Scuderia Ferrari Team Principal, presented the latest special series Maranello. After the official video of the car was aired, two Speciale cars were actually driven into the room, by the Scuderia’s two official test drivers, the Spaniards, Marc Gene and Pedro de la Rosa. The 458 Speciale was unveiled at this year's Frankfurt Motor Show that was held in September. The presence of Formula 1 team along with the official test drivers would have given some extra hype to the brand in the United States, specially as this a Speciale edition and Ferrari will want to create a a bigger hype with its products. United States has always been one of the biggest markets for sports and super cars.